Placing Australian Rules Football wagers is so easy. The Australian Football League (AFL) is the most attended sporting league and is currently the fourth-most attended professional sports league in the world in terms of attendance per match with an average attendance of more than 38,000 fans. An AFL season lasts for 22 rounds. At the end of the 22 rounds, the top eight teams compete in the four-week AFL Finals Series. A typical season starts from late March and lasts until the last Saturday of September, when The Grand Final is played at the Melbourne Cricket Ground. 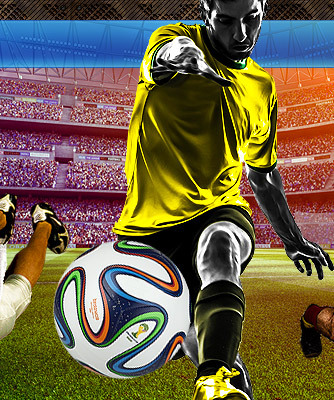 With so many die hard fans and matches to choose from, betting on footy matches is truly a phenomenon down under. 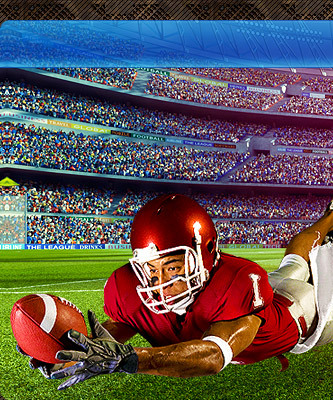 Winner - you wager on which team will win based on the matchup or on the list of teams with their corresponding odds. First Scoring Play - you wager on how the first score of the match will be made - whether it's a goal or a behind made by a particular team. This type of wager is also available per quarter. First Team to Score - you wager on which team will score first. This type of wager is also available per quarter. Exact Winning Margin - you wager on the exact winning margin of a team. 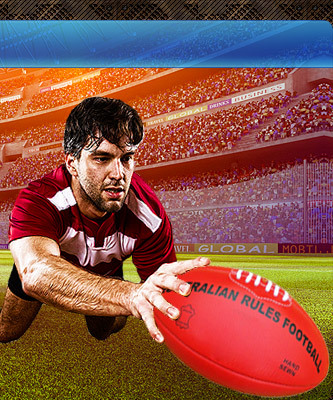 In addition to these popular Aussie Rules wagers, there are other Aussie Rules wagers that should be considered such as half-time margin, highest scoring quarter, total points (whether odd or even), first team to 25 points etc.